We have seen several Air Jordan 9 Retro kicks this year and we are going to see several editions later this year, including the new colorway that is set to hit the market very soon. 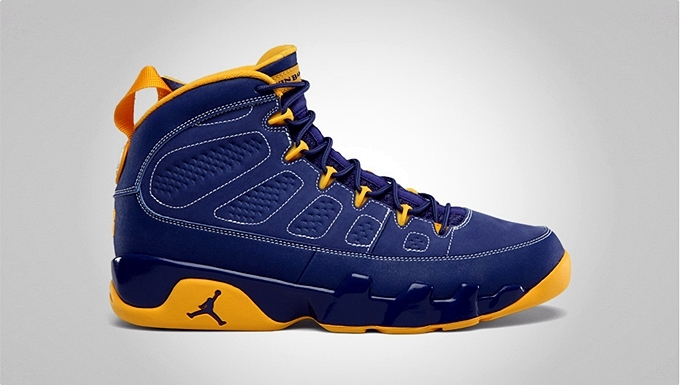 Jordan Brand will release the Air Jordan 9 Retro “Calvin Bailey” on November 10 and it is expected to get a lot of attention soon. The kick features a royal-blue upper part enhanced with gold and white accents along with “Calvin Bailey” and “Gary” stitches on the tongue and back of the kick, respectively. This is expected to be a hot item when it hits the market next week. If you want to get your own pair, make sure to get one immediately for $160 because this is said to be a limited edition kick from Jordan Brand.